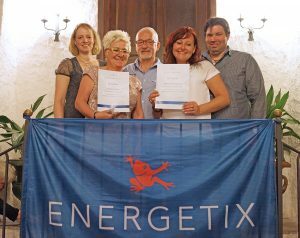 Success with ENERGETIX always pays dividends in several ways. Those, for example, who are particularly successful in the training-trip competition are rewarded with exclusive incentive trips! Sun, sea and sand: qualifiers for the 2nd category of ENERGETIX’s training-trip competition were sent off on a trip to Sicily from 16 to 20 May 2017! 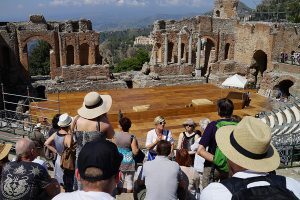 BE A STAR – that was the motto for the just under 40-strong group of international participants that had won the opportunity to experience the varied cultural and natural sights on this popular Mediterranean island. The group – this time composed of independent business partners from Germany, France, Austria, Switzerland and Turkey – was able to enjoy five days together in Mediterranean surroundings! 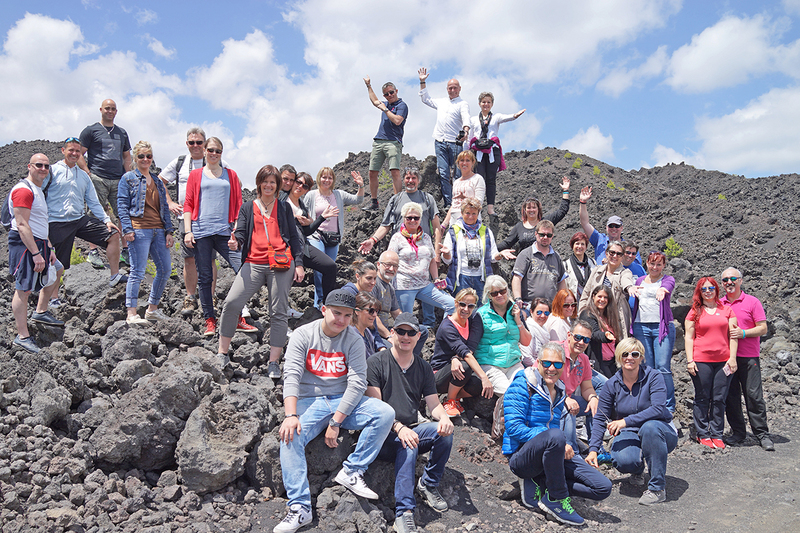 The participants were based in the Villa Itria Grand Hotel in the port of Catania from where they were able to take off on their pleasure and adventure trips to the eastern part of the island. UNESCO World Heritage: besides the exploration of the late baroque old town of Catania and a trip to the old town of Syracuse, there was also a tour of the old town of Taormina with its ancient theatre – and its magnificent backdrop and the breathtaking distant view – on the itinerary. 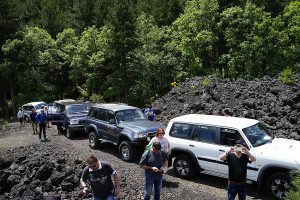 One special highlight was the probably unforgettable safari in off-road vehicles in the area around Mount Etna (3323 metres), the largest and most active volcano in Europe, which was followed by lunch served at a Sicilian vineyard that included such specialities as bruschetta, olives, cheese and, of course, the region’s sun-kissed wines. The business-partner awards, which are a permanent fixture on every competition trip, were staged at the Farewell Dinner that was held at the Sciarelle country house. And, besides the various cultural and culinary highlights, the strengthening of team spirit and the exchanging of experiences also naturally played an important role so that the participants returned home highly motivated and ready to get back to business! We’ve put together the most beautiful impressions from Sicily in an on-line photo album exclusively for you.